Singaporean indie pop band – M1LDL1FE – shares about their new identity and direction. 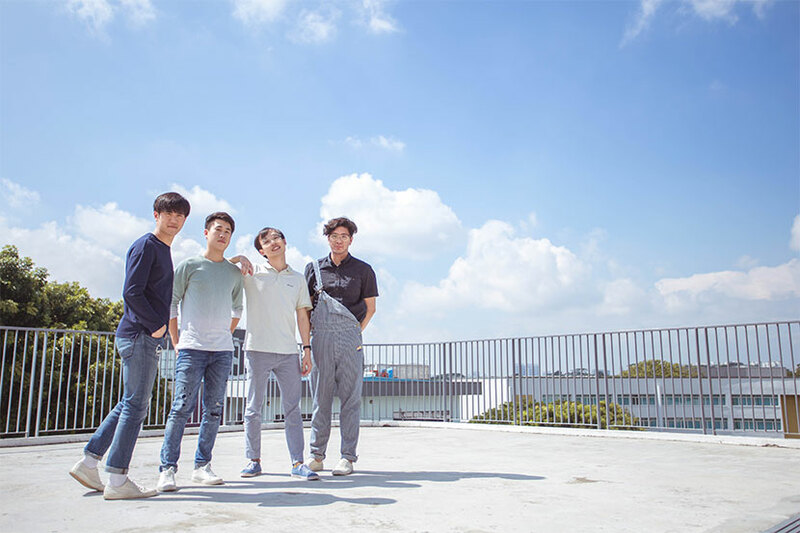 They first showed up in the Singapore music scene in 2012 as Take Two, performing a mix of covers with original songs, before finally releasing their first extended playlist (EP), PAIRS, in 2015. Also winning the coveted NOISE Singapore Music Mentorship title in 2014, they went on to perform in Southeast Asia, China and Spain. Now, following the amicable exit of guitarist and founding member, Johnathan Lim, the band is back as M1LDL1FE. Not wasting any more time, they’ve already released their first single, “Distraction”, on Jun 27, and performed their self-titled launch on Aug 5, with the EP out in July. With more synth and electronic influences, the band is armed with a fresh and grittier sonic palette and is set to release their eponymous EP sometime in July. 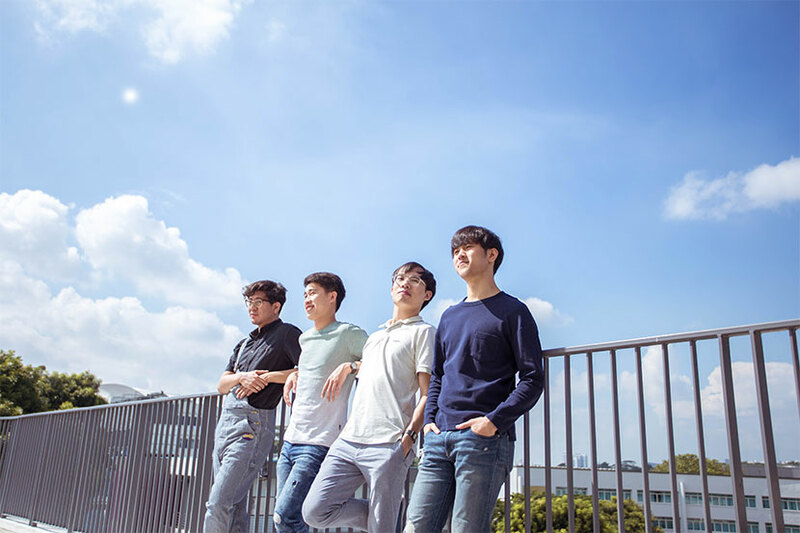 Despite the waves of success, the band, consisting of vocalist Paddy Ong, 29, guitarist Peng Sing, 28, bassist David Siow, 29 and drummer Jeryl Yeo 26, insists that they are just ordinary guys doing what they love: music. Though the sudden change in name may be confusing to fans, in the press release that first announced the shift, the band explained that “it only felt natural that we should move forward with this new identity” due to the band’s ever-evolving sound, coupled with changes in members. With Distraction, the band steps into their new skin, although members agree that the first single bears the strongest resemblance to Take Two’s songs. “To us, it’s the stepping stone. It was the very first song that we wrote as a four-piece,” says front man Ong, who shares that the band experienced difficulties coming up with new material since Johnathan’s departure, owing to a change in the voices and instruments available. The completion of the song, gave the band momentum to write more songs and to develop further. “It made us feel a bit braver to write more stuff and not doubt ourselves as much,” he adds. The upbeat groove of the pop song is juxtaposed by the bittersweet tale of its lyrics. He then goes on to explain that the essence of the song is based on the distractions that one faces in life. “You want to focus on a lot of things but sometimes your main focus might feel like a distraction from something else you want to focus on in life,” shares the vocalist. He elaborates that the song does not particularly pertain to the distractions faced at work or in relationships, but applies to “everything in all the different aspects of life that you want to treat as important but whether it’s not enough time not enough energy, sometimes it distracts from each other”. In the two years between the releases of their EPs, the band was still playing smaller shows around Singapore, and never thought about completely disbanding the group. The members never wanted to abandon their dreams of a music career. They, however, fear losing fans because of their inactivity and lack of new music. But the band has cast their worries aside, optimistic that their new EP will resonate well with listeners. With regard to their latest EP, the band members echo similar feelings of excitement and anxiety but are nonetheless “excited for everyone to hear the songs”. Fans can expect a fresh sound from this EP with the new songs setting a different tone for performances, which the band promises to “make as energetic as possible”. M1LDL1FE also reveals that “Backdoor” and “Super Algorithm Digital Me” are two of the most difficult songs they wrote, dubbing the songs as “experimental”, and the furthest from their old sound. The band members wanted to see what kind of sound they could create when they stepped outside their comfort zone. The band also divulges that Backdoor was only completed on the day the band was supposed to record it. “While I was recording the drums, they were finishing the front half of the song,” says Yeo with a grin as he points out that the song was made quite literally in the studio. Meanwhile, Peng dubs “Super Algorithm Digital Me”, as the band’s coolest song. Though the band goes by a different name now, M1LDL1FE says that they will continue to perform songs from when they were still known as Take Two, albeit with a few changes to the way they’re played. Some of their own personal favorites include “In Your Arms” and “Always Been Right Here”, tracks that contain band’s signature infectious energy with their sing-along choruses and danceable beats. Although the band has experienced changes, they don’t think that they will stray too far from their roots. However, they all readily agree that M1LDL1FE would experiment with a different sound in the future. “It’s always evolving and you never know,” says bassist Siow. When asked about their expectations of how listeners will take to their new EP, Ong says: “Obviously you want people to like your music.” He adds that for people to enjoy their music, the band has to first learn from their past experiences. Only then can they properly make music that both they and their fans enjoy. While a warm response is important, it is not a priority for the band. Although the band does hope to expand beyond Singapore and gain international exposure, it’s the music that keeps them in the business.